If you are interested in racing at either the NACAC championships in Mexico or the World Youth Cup in Czech Republic, then be sure to apply before the deadline! Selection will be made on based on past performances at Regional Mountain Running Qualifying Series, Canadian Championships, World Championships, NACAC Championships, or other trail/road/track races in 2015 and 2016. Athletes wishing to qualify must submit an application by Sunday, May 1st, 2016 to be considered for either event. For more information on how to apply, visit the selection criteria page. The Canadian Long Distance Mountain Running Championships are coming up, being held May 1 at the Kal Park 50k Dirty Feet race in Vernon BC. The top 3 men and women from the event wil be automatically selected from the event. Two or more men and women may also be selected by the committee �at-large� for runners who are unable to attend the championships. These will be based on previous results at other races in 2015 and 2016. If you are interested in being selected for the team, the application deadline is also May 1, 2016. For more information, check out the selection criteria. This year's World Masters Mountain Running Championship will occur in Susa, Italy on August 27 & 28, 2016. 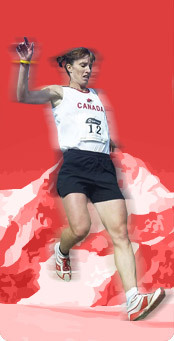 The World Masters Championships are open to all participants; there are no qualifying requirements set by the Canadian Mountain Running Association. Athletes can register directly through the race registration page.